December is one of the most wonderful months of the year…isn’t it? And why not having also an amazing Birthstone??? Which one? Turquoise of course… I love this stone! the living and family room. Have a wonderful turquoise day! beautiful! tahnks for including my bar pendant! Tuquoise is always stunning…NICE Work! Yes..I love this stone and its color! very nice stone and colour. I love ir. Merry Christmas!!! and thank you for your comment! 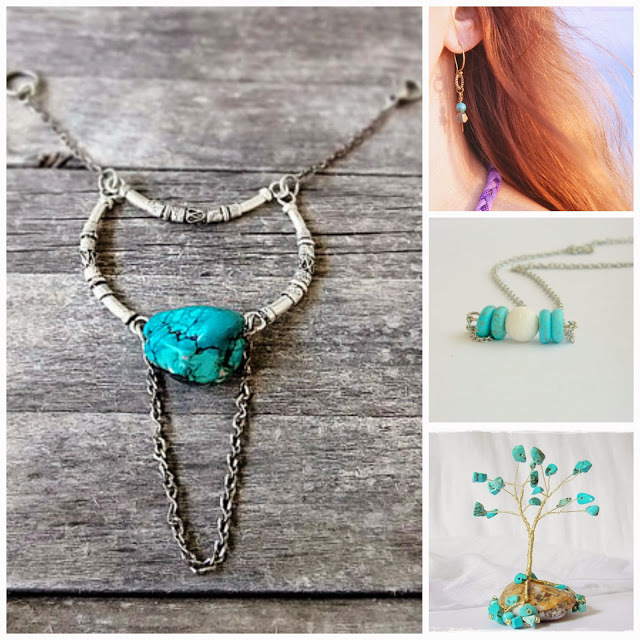 Turquoise is one of my favorite colors! Nice pieces of jewelery!